The lawyer representing "Piano Man", whose identity had baffled carers for four months, has insisted his client did not fake his symptoms. Andreas Grassl, 20, from Prosdorf, Germany, had been in a Kent hospital since he was found on a beach in April. He was unable to speak to health workers but reportedly stunned them with his brilliant piano playing. 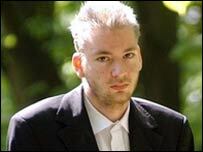 Now back home in Germany, his lawyer Christian Baumann said his client was mentally ill.
Mr Grassl's father Josef confirmed his son was the man whose plight has featured in the world's media. The patient, who was nicknamed Piano Man because of his virtuoso playing, flew back to Germany after breaking his silence on Friday. Josef Grassl told reporters he had not known about the campaign to identify his son, who had travelled to France and then the UK. It was at the Medway Maritime Hospital that he drew a picture of a grand piano and then apparently "stunned" health and social workers with his performance at the keyboard. However, newspaper reports now suggest he was only able to play one note continuously. Mr Baumann has been reported as saying that "he didn't speak, but he certainly did play piano". He said Mr Grassl had been suffering from severe depression when he was found on 7 April and had not staged his months of silence. After a worldwide response to appeals trying to identify him, the German Embassy in London said it was contacted on Friday by the Little Brook Hospital, Dartford, where Piano Man had been staying. It was reported he had finally broken his silence and stated he was German. "We contacted his parents and his identification was confirmed," an embassy spokesman said. "We gave him replacement travel documents and he left the UK using his own arrangements on Saturday morning." West Kent NHS and Social Care Trust would not comment further on the case because of patient confidentiality. 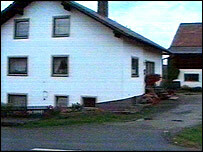 Speaking to German television, a man in the village of Waldmuenchen, near Prosdorf, said people could not understand what had happened to Andreas Grassl. "I know that he used to act as an altar server in church," said the man. "He went to grammar school and studied very hard, he was a good student. "He wanted to go into radio or TV or maybe study journalism." Mr Grassl's lawyer would not say where his client was at the moment. Piano Man: What's the score?